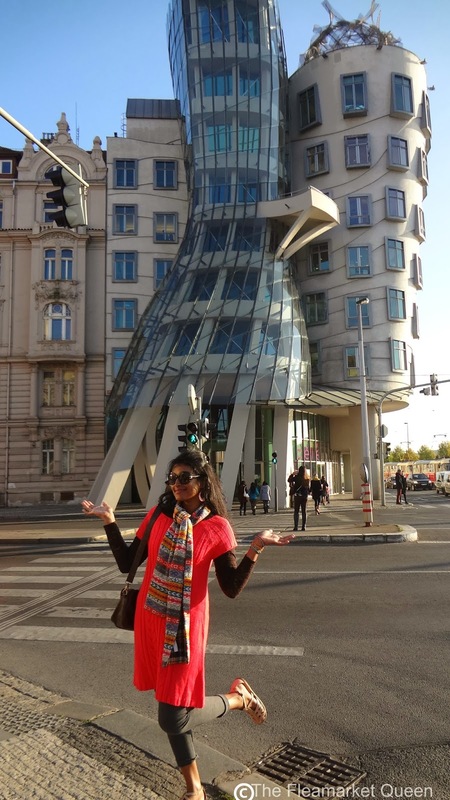 After striking off 3 cities from the 10 most beautiful cities in the World: Venice, Florence & Rome and within a gap of 4 months, I couldn't believe I was going to witness another one on the list of the most beautiful cities in the world i.e PRAGUE or Praha as known in Europe( Thanks to his business trip, yayy!) The experience was beautiful beyond words. Friendly people, lip-smacking food ,but more about the city in my travel post. I will reserve this post for what I wore in temperatures ranging from 12 to 6 degrees. 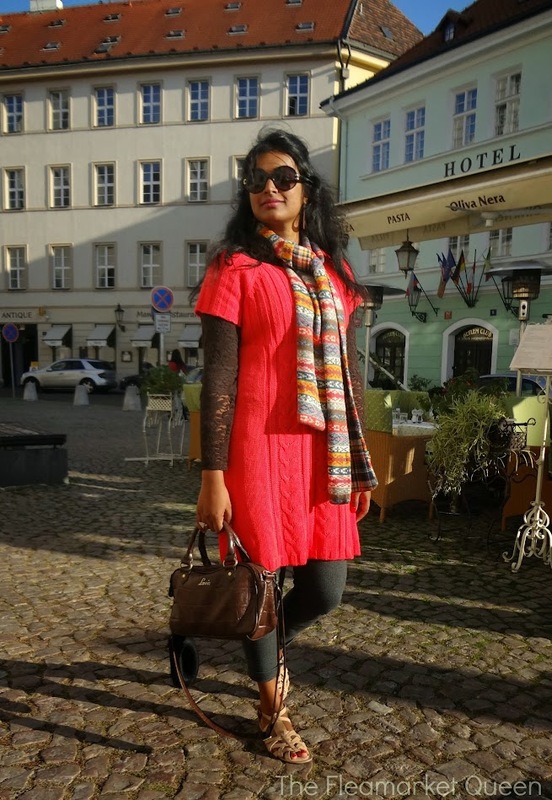 Europe weather is so unpredictable, it is almost a mistake if you skip your woolens. The travel photos as usual will follow in my travel post . 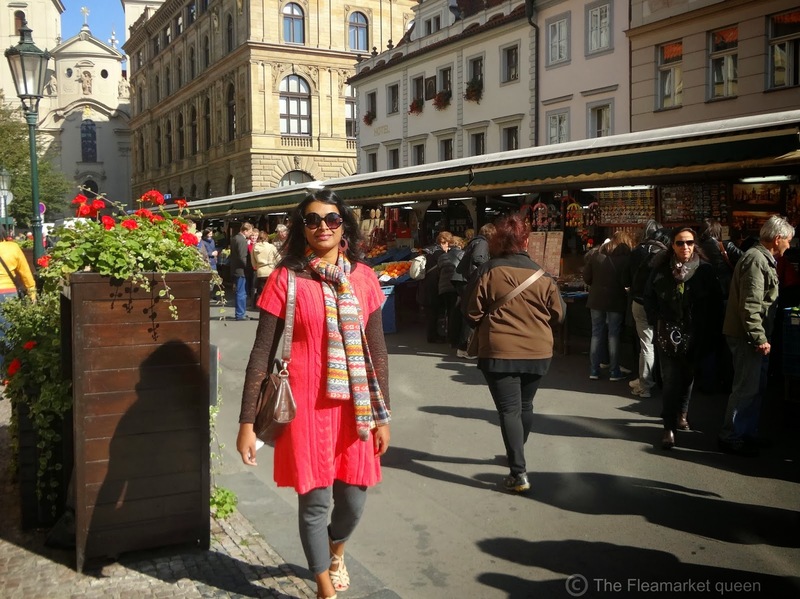 Prague is the Capital of Czech Republic and if you have seen the classic romantic movie Casablanca , you know it already. Also , the movie chasing Liberty starring Mandy Moore revolves around Prague. Do watch them! It was so cold my warmer set is peeking out from everywhere. Lol! Havelska street market. I had a hearty lunch here : All time favorite Thin crust garden pizza & a spaghetti, followed by banana split. Yummmmmmmmmm! And if you were following me on instagram , you would have seen the heavenly dessert. Posting it here again for your eyesn only! 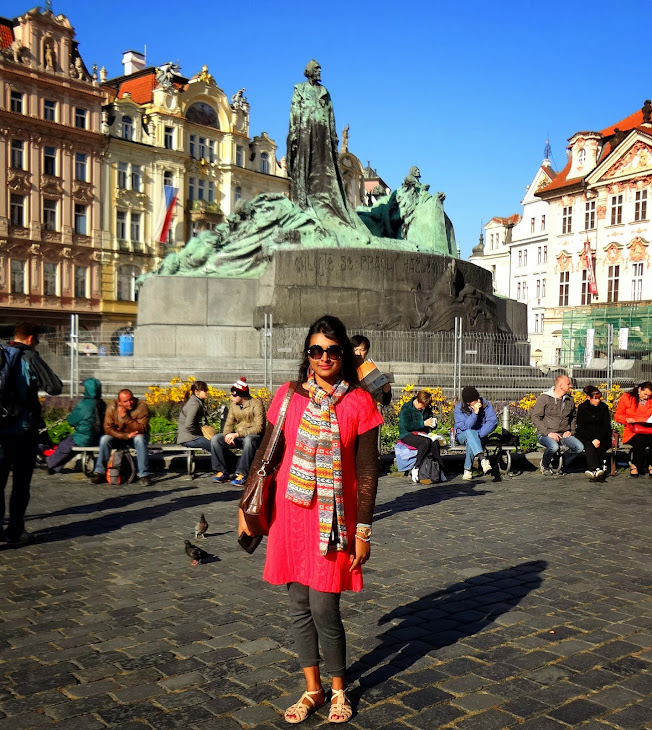 Look out for the Prague travel post in which I will share the most stunning views of this beautiful city. I want that banana split.